founded on the 18th of January 1892. During the year there were a variety of celebratory events. We would like to take this opportunity of our 125th anniversary to reconnect with Old Boys of the College and in the future to keep you more informed about life at the College. If you are an old boy and would like to add your details to our contact database please fill in this simple online form. You can follow events using the #125 hashtag and on our twitter @Wimb_Coll, on Facebook, or on Instagram. The College has produced a number of items to mark the anniversary year. Please see the merchandise page on the right hand menu for full details and how to order - or click here. The first and most important is the new history of the College: Wimbledon College, the First 125 Years, written by Tony Poole, Simon Potter and John Austin. 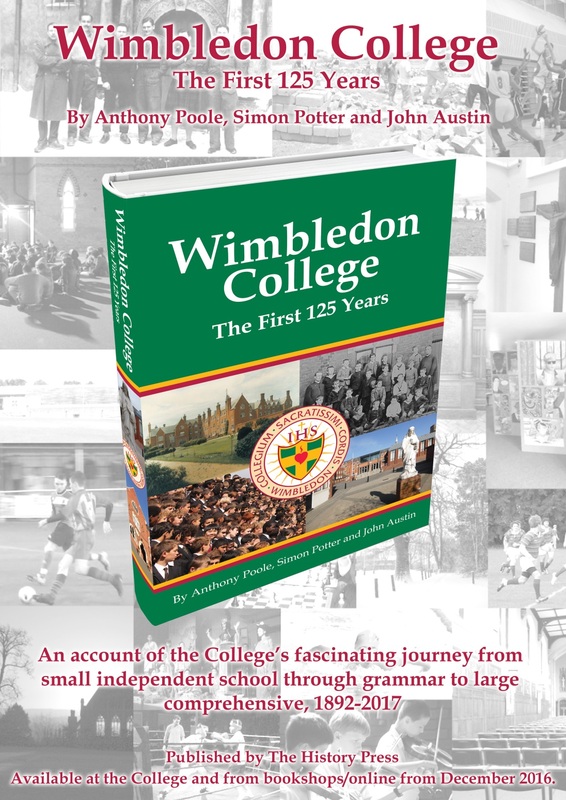 Tony has been persuaded to produce a shortened version of his original ‘A History of Wimbledon College’ for the first chapters of this new volume. Simon Potter has undertaken to write the final chapters covering the last 25 years and John Austin has made up the triumvirate as editor and researcher. The price is £20 plus p&p. [The cost of p&p will be – UK £3.00; Europe £10; Worldwide £16.50]. 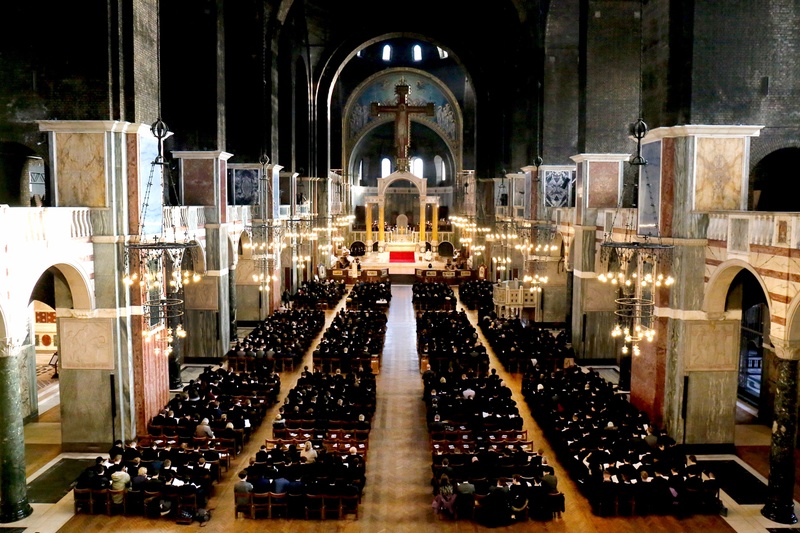 On Wednesday 18th January Wimbledon College celebrated its 125th Anniversary with a historic Mass at Westminster Cathedral. Click here for a full report and photo gallery of this special event. Thanks to everyone who made the 125th Anniversary Concert such a great success! The concert was in honour of St Cecilia, the patron saint of musicians. The programme included a selection of iconic pieces of music from the last 125 years inluding the suite from The Nutcracker by Tchaikovsky andPomp and Circumstance March No. 1 by Elgar.